Where can I find airport delay information? Airport delay information is available on the two website links listed below: Real-time airport status can be found at the Flight Delay Information Air Traffic Control System Command Center at www.fly.faa.gov/. This site provides a graphic of the United States with the three letter identifiers of the major airports. Enter real time flight tracking into your web browser to identify the many sites that provide tracking of flights by region, airports, airlines or individual flights. Why can't airplanes reduce their engine power until they reach higher altitudes? 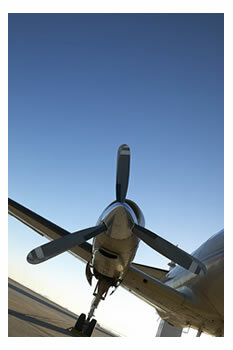 Aircraft need more engine power in order to attain a safe level of flight. Also, if aircraft fly at lower power levels they will remain closer to the ground for longer periods of time, thus more noise exposure to larger area. Why is my neighbor eligible for sound insulation and I am not? Why can't the airplanes fly over some other neighborhood? Airports often have certain traffic patterns that aircraft must follow in order to avoid collision with aircraft, buildings, or other landmarks. Traffic patterns are dependent on which runways are in use. Why are airplanes flying over my house this week when they haven't for months? Due to weather or wind conditions, aircraft are forced to use the most suitable runway to make safe landings. This, occasionally, causes the planes to shift traffic patterns and land on runways that are not often used. Also, when runways are closed for various reasons, aircraft must use other runways that bring them over different neighborhoods. Why can't airplanes fly in from a different direction and then turn to land, instead of flying right over my house? Traffic patterns are designed for efficient and safe runway use at an airport. Aircraft must follow these paths in order to land safely. Transport aircraft are not physically designed to make sharp turns without creating certain safety hazards. Will the noise ever go away? Noise will never go away. However, there are efforts being made by all involved parties to reduce the sound of aircraft and engines. How do I know if an aircraft is flying over my house at the correct altitude? Generally speaking unless an aircraft is operating over sparsely populated areas it is required to operate 1000 feet above property on the ground except during take off or landing. For operations over sparsely populated areas the requirement is 500 feet. See Flight/Air Traffic Control Procedures. Who can I talk to and what can I do to have my noise issues addressed? Many airports have someone in charge of noise issues who you can talk with about your problem. The noise officer has valuable information that could either help solve your problem or provide explanations as to why the problem exists. The problem may have been an isolated incident and the noise officer will be able to tell you if that is the case. If your problem persists, the noise officer may be able to suggest different solutions or put you in contact with additional people. However, not all problems can be solved -- airplanes must fly in order to move people and things such as food and medicine from place to place. Is the value of my house going to decrease because of this airport or aircraft noise? The value of your house should not decrease because of its proximity to the airport or the aircraft noise; however, you should talk to a real estate agent that is familiar with land value around airports to get an accurate evaluation for your location. Why are planes flying in MY airspace right over my house? Individuals do not have specific rights to the airspace above their houses. There are any number of reasons why an aircraft may be operating over a particular house. Aircraft operations over any particular house are ordinarily appropriate with respect to altitude provided that the operations do not violate FAR Section 91.119 which prescribes the minimum safe altitudes at which aircraft can operate. Why do some airplanes make noises that sound different or are louder than other airplanes? There are many different types of aircraft that fly today. Each type has different features and capabilities. Some aircraft make more noise than others because of the type of engines they have. Also, larger aircraft tend to make more noise than smaller aircraft, though this is not always the case. Your proximity to the aircraft affects the volume of sound you hear. The volume of noise also depends on the age of the aircraft creating the noise. Newer aircraft have newer engines and designs which are quieter due to evolved technology. Different engines and airframes have entirely different noises associated with flight. Please refer to Sources of Aviation Noise and Noise 101 for more information. Why do some aircraft rumble, whine, and make my house vibrate? Some aircraft tend to make a rumbling sound because their engines produce a lower frequency noise. This lower frequency is what causes vibrations. Please see Noise 101. Can the airport legally buy my house? Under eminent domain, an airport can buy a house for fair market compensation if it decides that the house is a public need. Why do the aircraft fly so low? Aircraft have to fly low in order to properly line up with the runways and execute safe landings. Aircraft may, however, appear to be lower than they actually are because their large sizes make them look closer. Also, when the airspace is crowded, aircraft may spend time flying a holding pattern at relatively low altitude in order to ensure a suitable flow of traffic. This may make is seem as though they are flying lower than usual. In general, air traffic is restricted by local airspace limitations. Contact your local airport for more information. What are the authorities doing to mitigate the noise? Noise can be mitigated through a variety of procedures. The airport can implement noise-reducing flight patterns to control the source of noise, implement curfews which limits the duration of noise after daylight hours, install home and building insulation to limit the penetration of noise into a home, build noise berms to prevent the noise from ground operations from impacting surrounding neighborhoods, and build ground run up enclosures to keep the noise from engine run ups localized to within the airport. Why can't planes fly only during the day? Some traffic needs to fly at night in order to meet today's business needs. Some examples of companies that rely on night flights are FedEx, UPS, and DHL. These types of companies are an essential part of our fast-paced business environment that guarantees overnight delivery to satisfy the needs of customers. Some traffic flies later at night in order to compensate for time differences in other parts of the world. Some airports can implement a curfew to control the number of aircraft that fly at night, while others, because of local needs, cannot. What happens with my complaints? Each airport has its own way of handling complaints. Contact your local airport for more information. If our local airport expands will there be more noise and more airplanes flying overhead? Airport expansion may be needed in order to alleviate some traffic problems and associated annoyance. The airport might expand to increase the efficiency and amount of aircraft traffic to meet growing demands. This does not necessarily mean that the noise will increase. That will depend on the type of aircraft flying into the airport. It, also, does not mean that the frequency of flights over your house will increase. Your local airport office will be able to explain the reason for expansion and its effect on your area. Why are the planes flying over my house? Varying weather and operational conditions influence the flight patterns of aircraft near airports. Wind has the greatest impact on flight paths as aircraft need to land and take-off into the wind. As the wind changes, the flight paths change accordingly. This explains an airport's need to have multiple runways pointing in different directions. See Weather Effects on Aviation Operations. Also, depending on aircraft volume, air traffic control will put aircraft in holding patterns, increase aircraft spacing, or set aside noise abatement procedures in the interest of safety. This may also occur because of air traffic limitations within your local airspace, possibly relating to neighboring airports. Aircraft are limited to where they can fly because of established flight paths, approach paths, and departure paths. These paths are established and published to enhance safety during flight. See Air Traffic Control. I am nowhere near the airport. Why are the airplanes flying so low over my house? Aircraft are limited in the direction they fly because they must land into the wind. Therefore, the flexibility of air traffic is dependant on the wind patterns of the day or, even, the hour, as winds can change rapidly. If the winds change, the air traffic controllers may need to change runway usage and, thus, the flight paths. See Weather Effects on Aviation Operations. Why do planes always come from the same direction? To enhance safety and ensure an efficient flow of traffic, airports follow an established pattern and, therefore, cannot change flight paths. There are also restrictions due to airspace limitations. An aircraft's speed and weight determines how far in advance it must line up with the runway to execute a safe landing. Typically, aircraft must be in line with the runway at least ten miles out. See Types of Airports. The Federal Aviation Administration (FAA), under FAR Part 36, governs the certification of aircraft as it relates to noise levels. Depending on the type of aircraft, FAR Part 36 determines the maximum allowable noise level. The FAA also follows the model of the International Civil Aviation Organization (ICAO) which sets global aircraft noise standards known as Stages. Currently, the FAA mandates that nearly all aircraft that fly within the United States comply with Stage 3 requirements. See Federal Aviation Regulations. What can I do to get the noise over my house to stop or, at least, decrease? Depending on your proximity to the airport, it is likely that the aircraft noise over your house varies from day to day. Varying weather conditions and air traffic control volumes often cause aircraft's flying patterns to differ. Reducing the noise level at your house may be possible through programs such as soundproofing, altered flight paths, and/or noise abatement procedures. However, many of these programs depend on your local airport's noise mitigation programs. Contact your local airport's noise office for more information. What are some of the things being done to stop the noise? Over the past few decades, improved aircraft engine technology has greatly reduced the amount of noise produced by engines. Airports across the country are utilizing extensive noise abatement procedures including delayed turn-outs and higher departure altitudes. Depending on the location of your house and the programs in place at your local airport, you may be eligible for home sound insulation. Your airport may offer other mitigation programs in which residents can participate. Contact your airport's noise office for more information. Why are some airplanes louder than others? Several factors affect the noise level produced by aircraft. Older aircraft tend to be louder due to less advanced engine and airframe technology. Also, larger airplanes are often louder because they require larger (and sometimes noisier) engines. However, just because an aircraft is larger does not necessarily mean that it will be louder. Aircraft that weigh less than 12,500 lbs do not fall under the Stage requirements established by ICAO and implemented by the FAA. Because of this, smaller aircraft may be even louder than larger aircraft. Why do we need an airport in the first place? Airports provide numerous benefits to local and regional economies. The aviation industry itself is often considered to be a valuable business due to its direct impact on the health of our national and international economies. Airports contribute billions of dollars per year to local economies and create tens of thousands of jobs, either directly or indirectly. The benefit of travel afforded by a local airport is equaled in importance by the mail, packages, and even exotic foods that are delivered across the country by the aviation system. See General Airport Operations. Can my house be sound insulated to help with the noise? Sound insulation are in place at various airports across the country. If this program exists at your local airport and your house meets the necessary requirements, you may be eligible for sound insulation to help reduce the noise in your home. Eligibility is most often determined by a homeowner's proximity to the airport. See Residential Sound Insulation Programs. Contact your local airport or noise advisory board for details. Why do planes have to fly over residential areas? Aircraft must fly over residential areas because of the small distances between some airports and neighborhoods. Therefore, it is sometimes necessary for aircraft to fly over these residential areas in order for aircraft to safely reach the airports. Air traffic control procedures often try to minimize the number of aircraft flying over homes. Unfortunately, in the interest of safety, this is not always possible. Who has the ultimate control of the air above my house? The federal government has jurisdiction over United States airspace. No individual may claim ownership of airspace over his or her property. Airspace is considered to be public domain and may be used by anyone as long as they do not interfere or endanger the people and property on the ground below. Aircraft are generally restricted to flight at altitudes of at least 500 feet unless they are taking off or landing. Once an aircraft departs from an airport, the airport no longer controls the movements or actions of the aircraft. The responsibility is shifted to the pilots and Air Traffic Control (ATC). Air Traffic Controllers are employed by the U.S. government or by private companies who are contracted by the U.S. government. See Federal Aviation Regulations. However, noise concerns and inquiries should always first be directed to the airport whose operations are causing any disturbance. Why are the aircraft flying so low that so I can see the pilots' faces? The only reason aircraft would be flying low enough for you to see the faces of the pilots is if they were about to land. In this case, the aircraft should be directly over the runway and not near any residential areas Therefore, it is unlikely that the aircraft would ever be that close. Why is the airport's expansion necessary and why does it have to affect me? The reasoning behind airport expansion is determined by airport officials. There is never one general reason an airport may elect to expand. One reason often cited is the need for larger facilities. Like any facility, an airport must expand to meet demands. Lack of growth at an airport may lead good tenants, such as airlines, to move elsewhere, taking large revenues and jobs away from the local economy. Airports are large economic engines for the cities in which they are located. 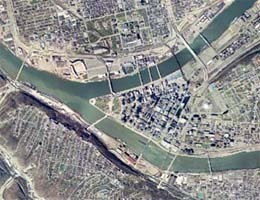 If an airport is lost, the city may lose as well. The effect an airport expansion project has on residents around it varies from airport to airport. Growth always has the potential to affect residents, whether it is the positive effects of economic growth, or the negative effects of increased traffic and noise. Depending on the project, residents closest to the airport may be more affected by the project than those further away. Why are airplanes flying at 2:00AM? Is there a curfew? There are no rules that govern when airplanes can fly. One reason the United States Postal Service and other mail carrier services work efficiently is because of the schedule they keep. Mail collection is often completed late in the afternoon. It is then sorted and directed to its final destination. At the end of each day, some packages and letters must fly late at night or very early in the morning in order to reach their destinations on time. A curfew would create a burden on interstate commerce which is illegal by the FAA regulations. See Federal Aviation Regulations. Additionally, passenger airlines offer their services at all times of the day. International passengers traveling to Europe must leave the U.S. in the evening in order to get to Europe the next morning. Because legal curfews are difficult to put in place, most curfews are voluntary. What does/can the noise office do to help me with all these noisy airplanes? The policy of each individual noise office is different. Some offices only report the number of complaints they receive. Others are more proactive, holding outreach programs in an effort to inform the residents around their airport about noise, current projects at the airport, and any future problems they may anticipate. To find out what your local airport's noise office does, contact them directly. What is the reason for the repetition of aircraft after aircraft overhead? The most efficient way airports can operate is to land and depart aircraft on certain runways for an extended period of time. This means that while the winds are blowing from a constant direction the aircraft will always be flying into the wind. While approaching the airport, the aircraft will be in a line several miles apart flying into the wind getting ready to land. The repetition of aircraft you hear from the ground is the noise the "lined up" aircraft are making while on their approach or, in the opposite case, taking off. Are there consequences for pilots who do not follow noise abatement procedures? Pilots' responsibilities are to follow the directions of air traffic controllers. If that requires a pilot to fly lower than usual, then that is what he/she must do. See Flight Air Traffic Control (ATC). Noise abatement measures are adhered to on a purely voluntary basis. They are, by no means, enforceable. A proactive noise office will regularly remind air traffic controllers of the policies and may monitor their compliance. In an uncontrolled environment, it is not uncommon for the airport to find out who owns the offending aircraft and send a letter to remind them of certain policies. But, again, aircraft cannot be banded () due to the undue burden it may place on interstate commerce. What are the health effects of aviation operations in my area or over my house? Many studies have been done on the physiological health effects of aviation operations. However, none have confirmed that aviation related operations expose the public to severe health problems. Some people in the vicinity of airports might find themselves more prone to noise and other related annoyances. However, the effects this has on a person will vary by individual. Who should I call if I have a noise complaint? Many airports across the nation have set up noise complaint hotlines that community members can call to express their concerns. Some airports have also made noise complaint forms available to the public on their websites. Airports usually require individuals to leave their name, phone number, and address along with the complaint. Contact your local airport noise office or community outreach program for more details. Why can't planes descend at a steeper angle so they fly higher over my house? Aircraft must follow the glide slope approach when coming in to land. The glide slope is an imaginary line that extends out from the end of the runway at a 3 degree angle. For safety reasons, aircraft cannot fly higher or lower than this line.